Vegan Monologue | Just food! No nonsense. Portland, OR. Just food! No nonsense. Portland, OR. 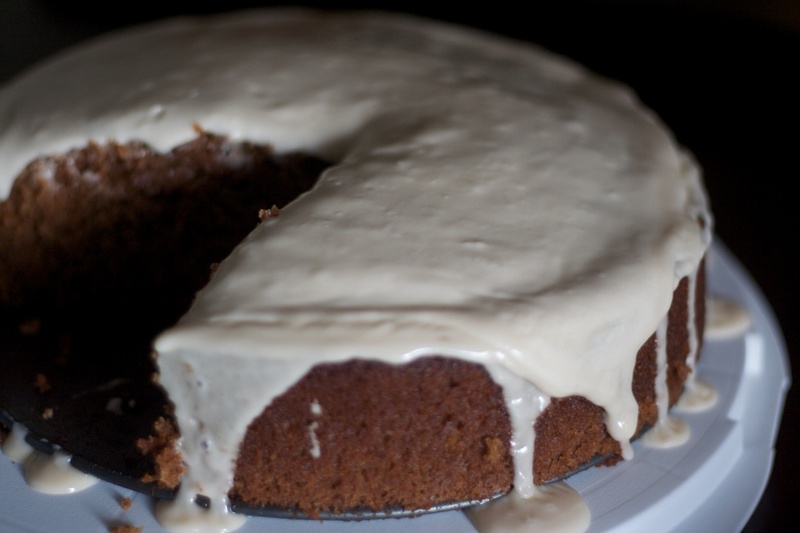 This is a deliciously moist apple and spice cake with a vegan cream cheese glaze that most anyone would love. Preheat oven to 350 degrees. In a large bowl, whisk together flour, baking soda, salt, cinnamon, and cardamom. Set aside. In another bowl, with an electric mixer, beat butter, brown sugar, and honey until light and fluffy. Add eggs, one at a time, beating until combined. 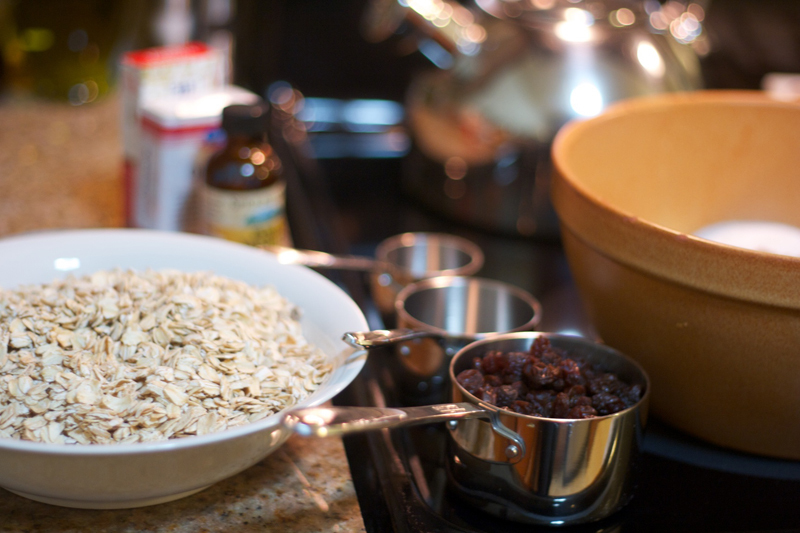 With mixer on low speed, gradually add flour mixture; beat just until combined. Beat in applesauce. Generously coat a nonstick 9-inch tube pan with cooking spray. Spoon batter into pan; smooth top. Bake until a toothpick inserted in the middle comes out clean (but slightly wet), 50 to 60 minutes. Cool on a wire rack 10 minutes. 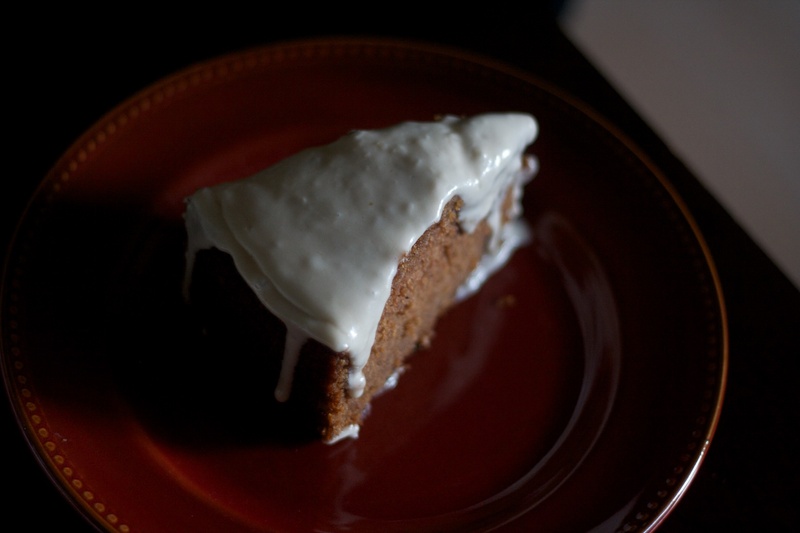 Turn out of pan onto a cutting board or baking sheet; invert cake onto rack, top side up. Cool completely. Dust with confectioners’ sugar before serving, if desired. 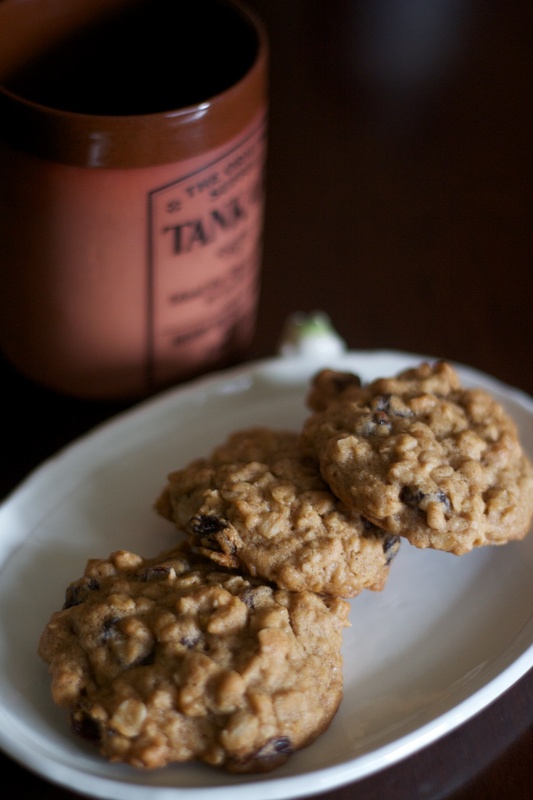 Full disclosure: this is just the “Vanishing Oatmeal Cookies” recipe that comes with a carton of Quaker Oats, only with an egg replacer and non- dairy butter. The taste of childhood….without the animal products. In large bowl, beat Earth Balance and sugars on medium speed of electric mixer until creamy. Add egg replacer and vanilla; beat well. 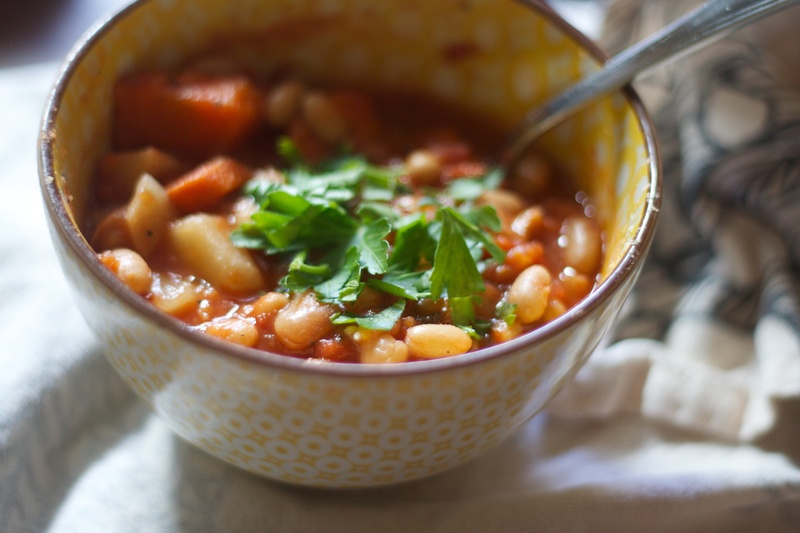 Homestyle Lentil Soup: Crockpot or stovetop. It looks a little dry because it was the next day, but I just added some water and it was back to normal soup deliciousness! Here it is, simmering in the crockpot. It’s been extremely cold and wet lately, and I’d been craving some hearty lentil soup. 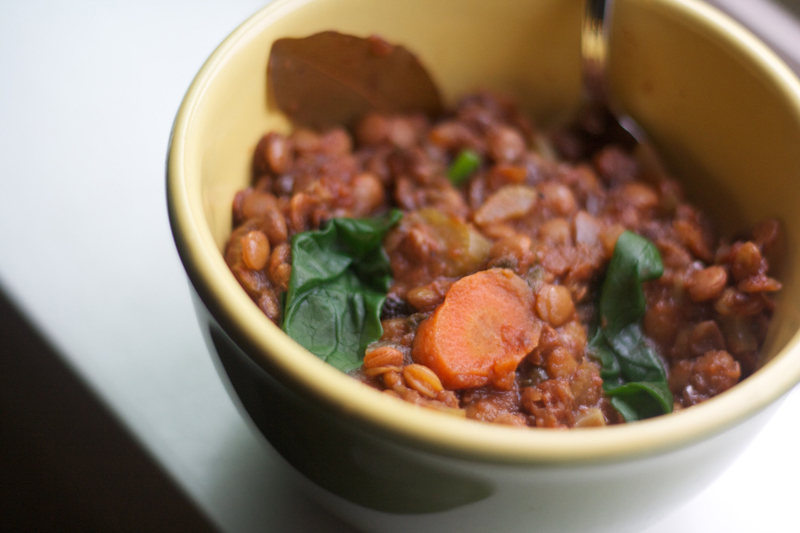 My ultimate version is one of those Progresso cans of vegetable-lentil, but I made my own, and I wasn’t disappointed. This is far better than anything in a can. I made this in my crockpot. Below are the directions for a crockpot and stovetop method. 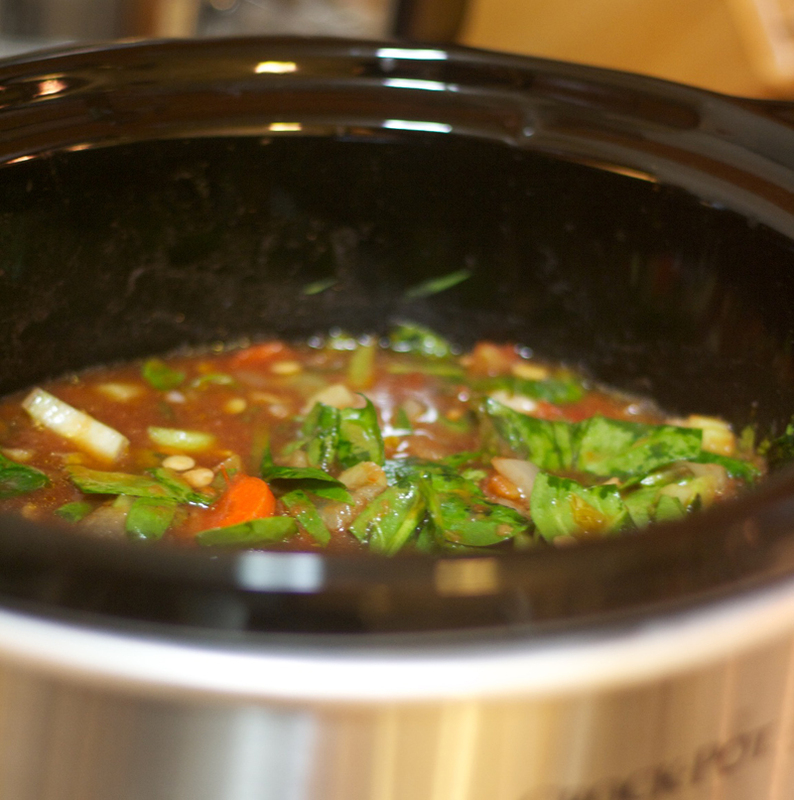 If you’ve never had a crockpot, you need to buy one. They are inexpensive and extremely convenient! Cook on the longest setting with the highest heat. If you cook with low heat, use the longest setting possible. If you use the stove top, cook on medium low for several hours, or until the lentils are soft, adding water as you go. For both methods: the soup is done once the lentils are soft. Keep adding water or broth if the soup dries out as you’re waiting for the lentils to soften. at the end, add more salt, vinegar or lemon juice to taste. NOTE: This method makes the lentils end up with a little crispness, though still fully cooked. If you like your lentils all the way soft and almost mush, cook the lentils in water for 10 hrs on low the day before, then proceed with the recipe as-is. I prefer them to maintain their structure, I don’t like mushy lentils. 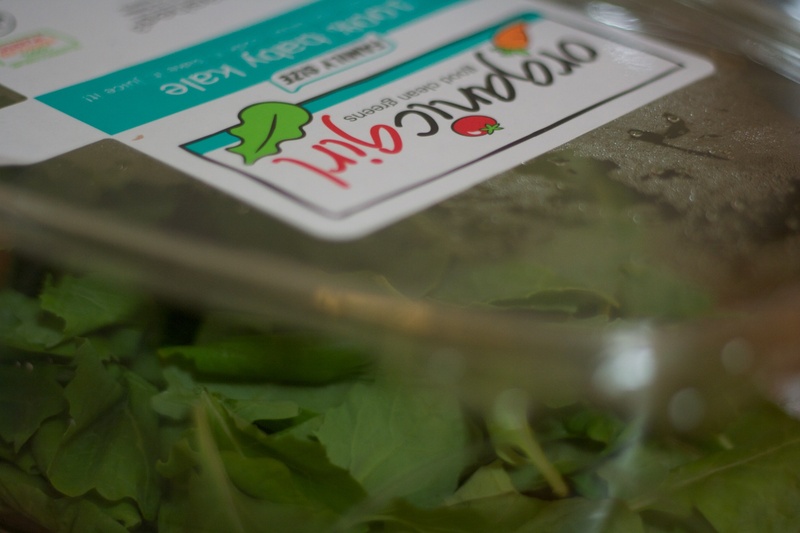 Greens (arugula) for the sandwich. Spinach is a more conservative choice. Here is the dry batter mix. This is how I soaked the cashews for the “cheese”. If you’ve never heard of pudla, I recommend you take a look at my favorite pudla recipes here and here. 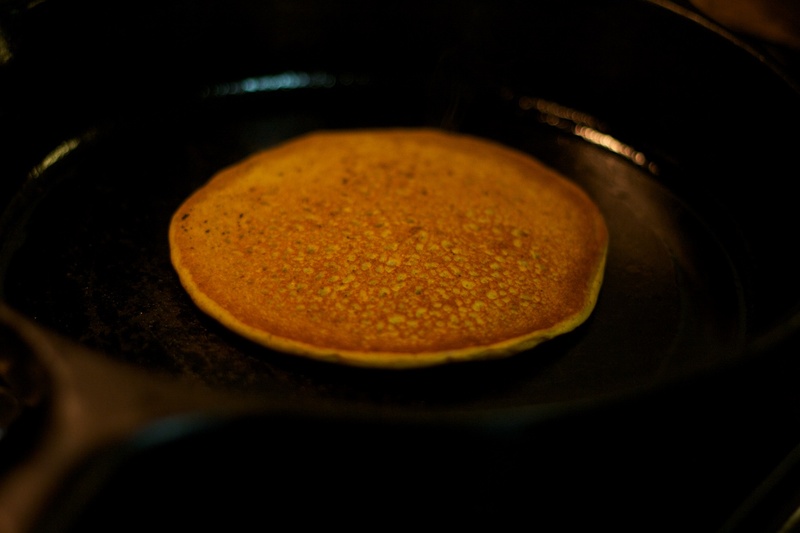 It is a delicious, seasoned chickpea flour pancake. Benefits: high fiber, high iron, super high protein, it is reminiscent of an egg omelet, you can add veggies to it, and if you cook it properly, it is super delicious and filling. My guinea pig said the spices reminded him of fried chicken. 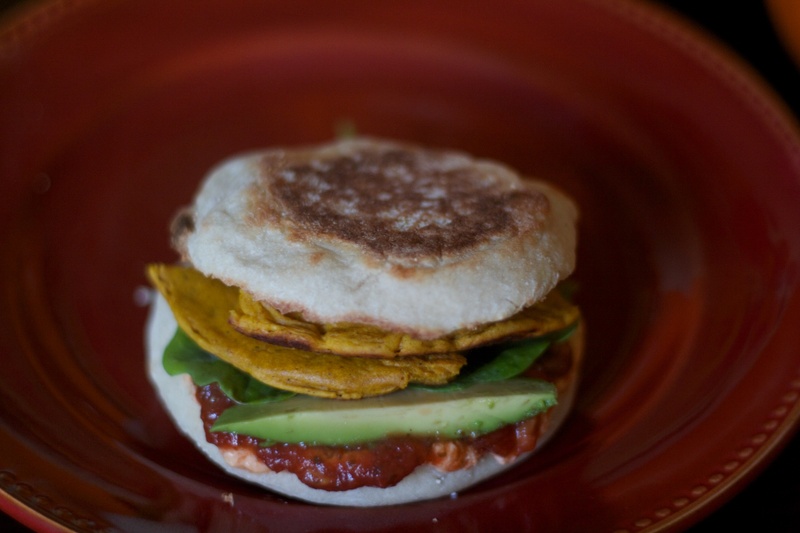 Below is how to make these little breakfast sandwiches with tiny pudla, but I suggest you attempt a few larger pudlas on their own as a hearty dinner sometime. NOTE: raw chickpea flour is nasty. Do not attempt to eat or taste the batter raw, and make sure your pancakes are cooked all the way through or you will taste the nastiness of rotten sprouts and indescribable grossness. I am not kidding. It won’t hurt you, but its disgusting when its not cooked all the way. Unless you are accustomed to eating many grassy, raw bean sprouts, you will find the raw chickpea flour unbearable. I must give credit where it is due. This is the place I found this recipe. 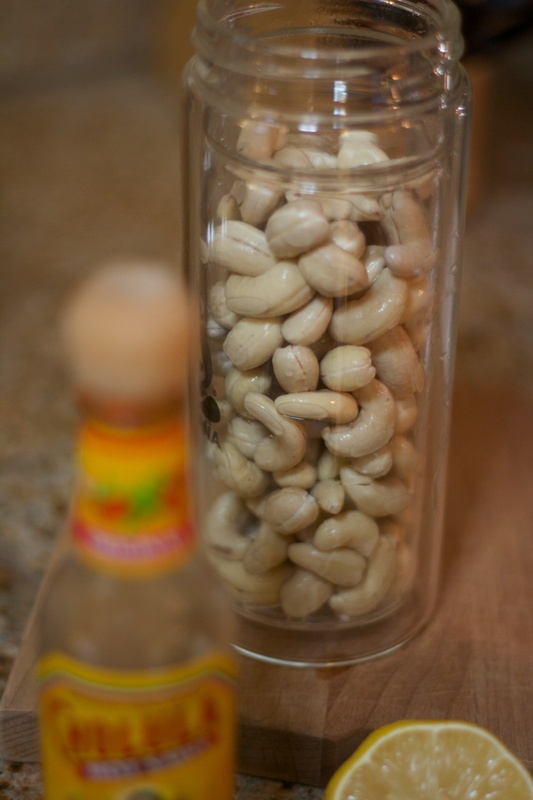 Drain and rinse the cashews, then put them in the bowl of a food processor fitted with the S-blade. Process into a thick paste, stopping to scrape down the sides of the bowl as needed. Add the lemon juice, milk, Cholula sauce and salt. Blend until smooth and creamy. 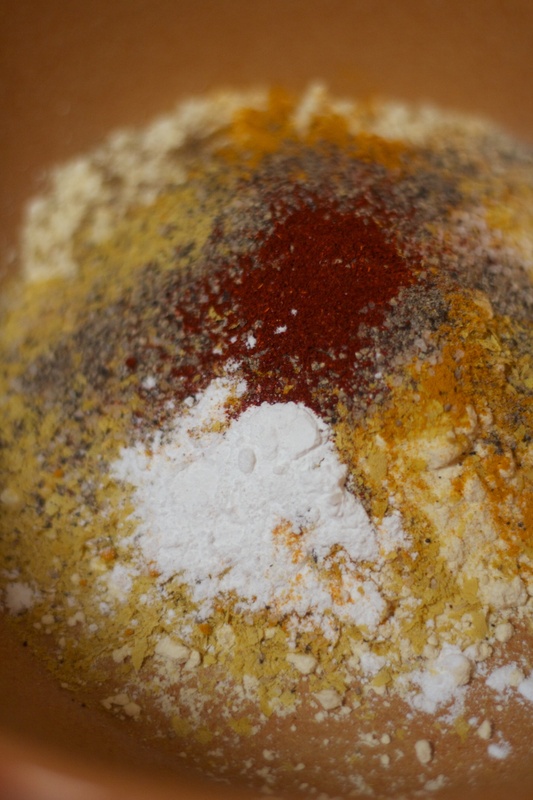 Stir together the chickpea flour, nutritional yeast, baking powder, coriander, turmeric, paprika, salt and pepper in a medium bowl. Stir in the water and soy sauce. Heat the olive oil in a large skillet over medium-high heat. When hot, drop the chickpea batter in scant 1/4 cupfuls onto the skillet, forming 4 patties, each about 4 inches in diameter. Cook the patties until small bubbles begin to form in the center, 2-3 minutes. Flip and cook another minute on opposite sides. Each patty should be lightly browned on both sides. Remove from heat and transfer to a plate. 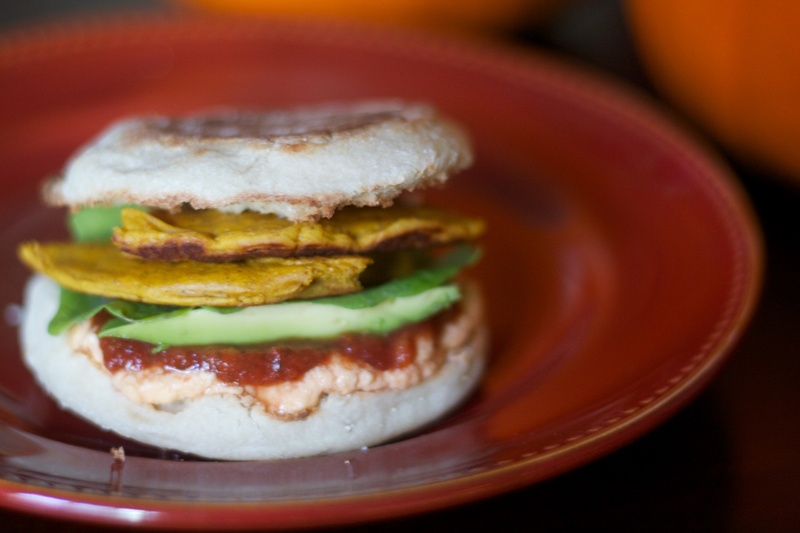 Spread 1 tablespoon of salsa on the top and bottom halves of each English muffin. Place a few baby spinach leaves over the salsa, then place a chickpea patty on top of the spinach layer. 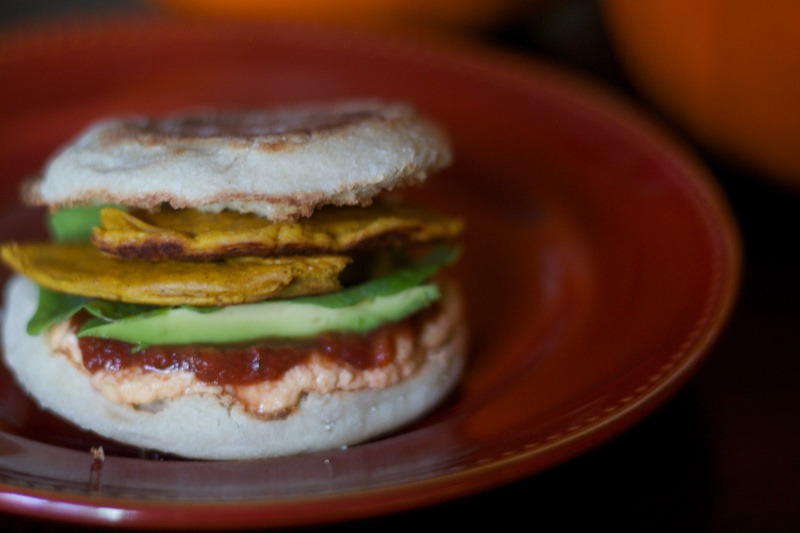 Spread with a layer of Cholula cashew cheese over the patty, and then top with 2-3 avocado slices. Top with a few more spinach leaves, and then the top half of the muffin. Repeat with the remaining muffins. 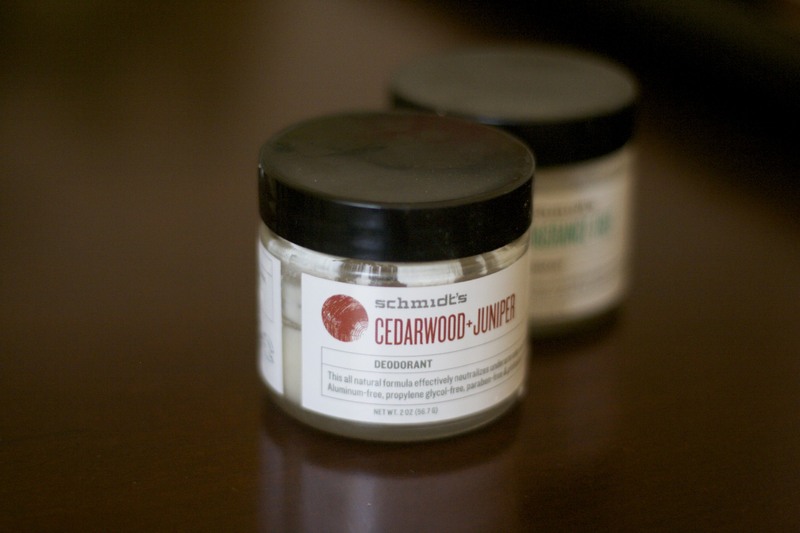 V’tae spray deodorant: delicious herbal scent that reminds me of the forest and crushing myrtle leaves in your fingers. Peach & Willow Bark facial towelettes: juicy peach scent mixed with a slight note of powder.I use these for my face, then let them dry and reuse them as wipes for cleaning around the house. These are invaluable as a way to freshen up away from home. Q Tonic. 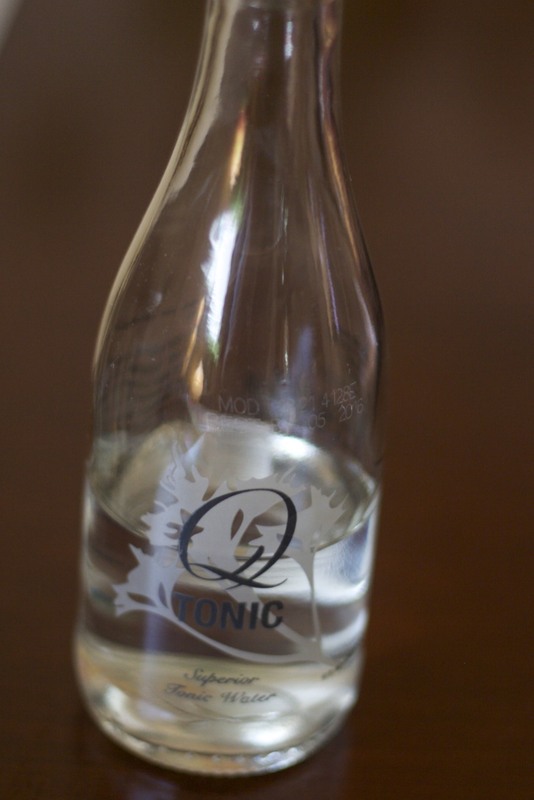 All natural tonic water with real quinine. Delicious, low-sugar, superior mixer. 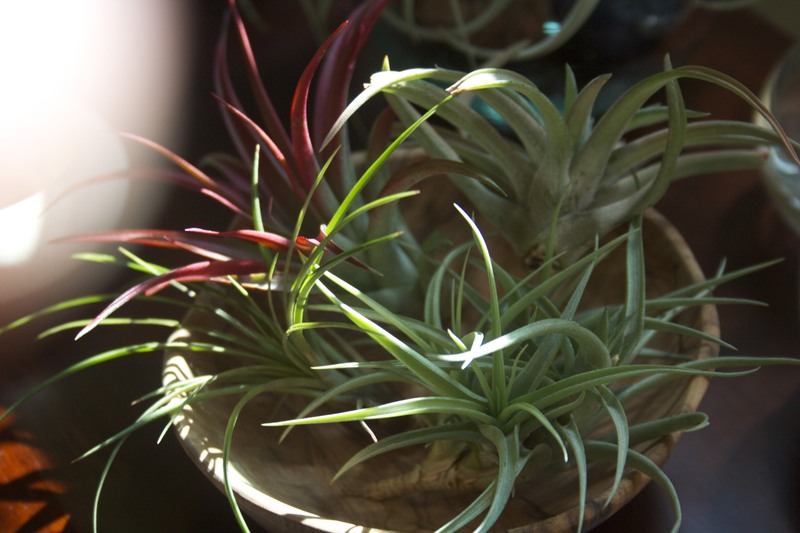 Airplants! I’ve become addicted to them! I’ve collected 9 already. Rinse in water once a week, give indirect light. Multitudes of varieties! 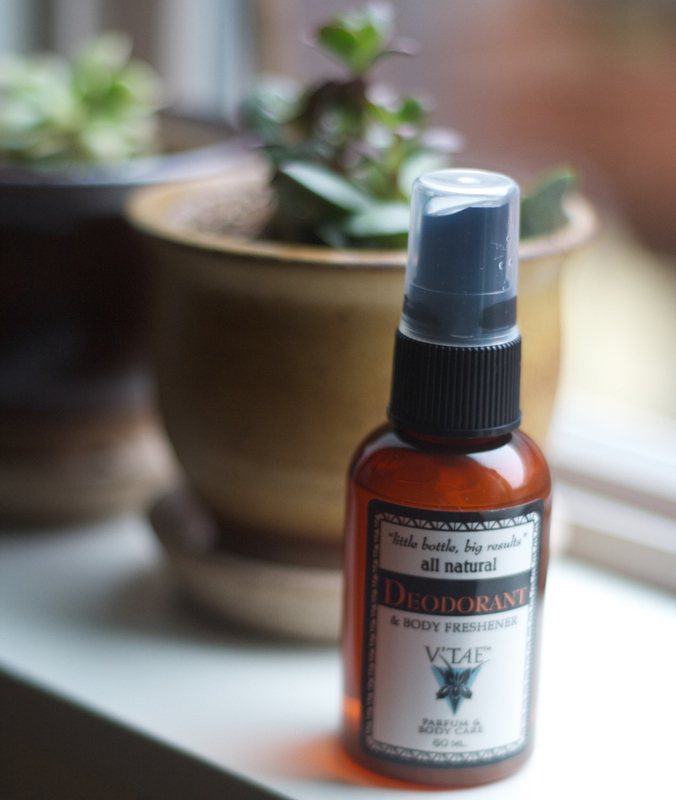 Once a loyal customer of Soapwalla, this deodorant has won me over because it is powerfully effective and available at our neighborhood grocery. 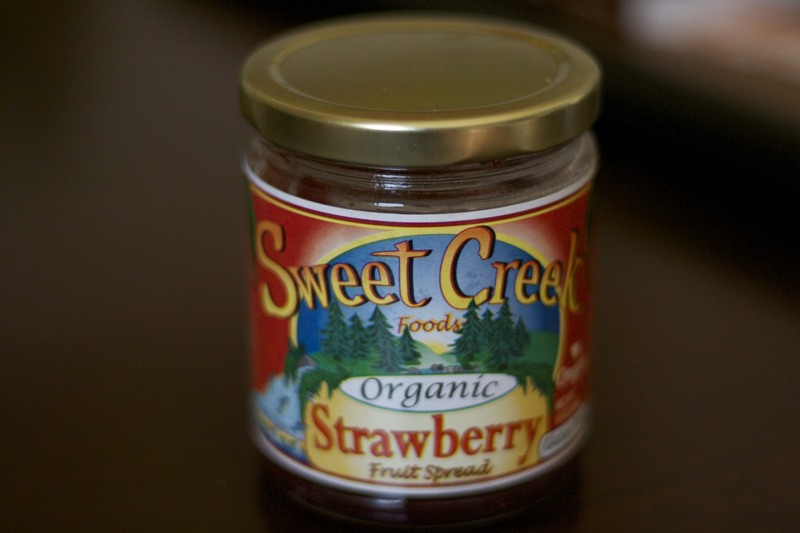 A local jam and pickle maker, Sweet Creek makes delicious, natural products and puts all other jams to shame. Pricey, but worth it. 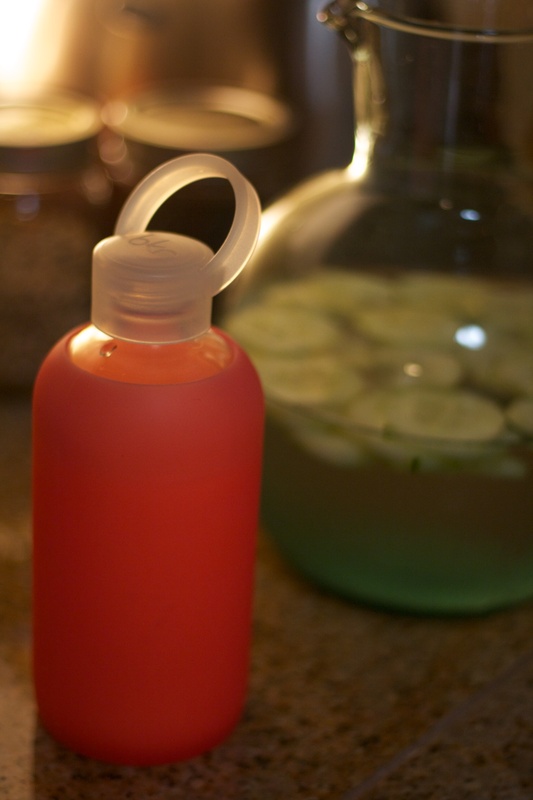 This BKR water bottle is my favorite vessel to drink from this year. The color options are staggering. The silicone sleeve protects the glass and adds a fashionable, yet sporty flair. The water level has a subtle visibility. This is just a shot to show you what it looks like with the cap off. 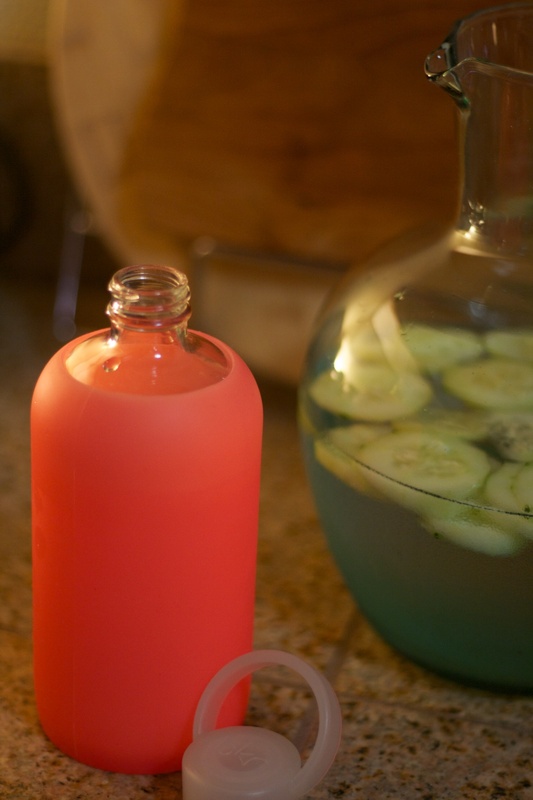 Actual cucumber-infused water used in this photo. 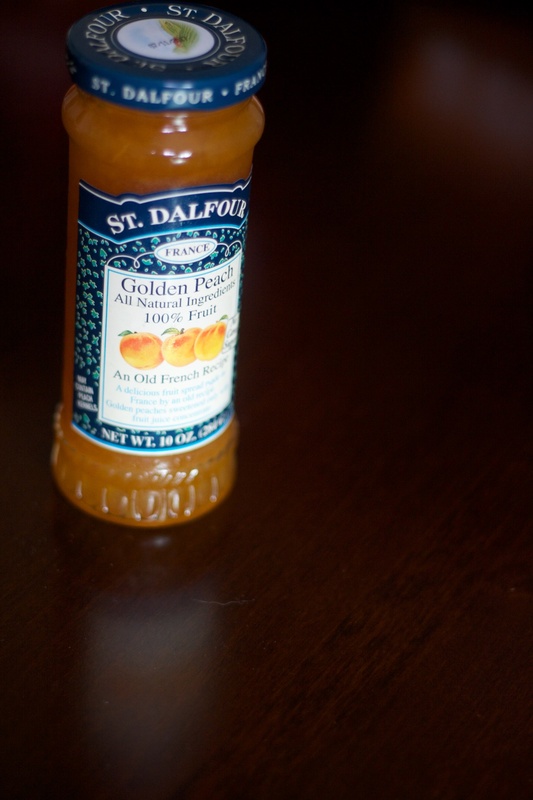 Peach jam from Dalfour. They make many small batch jams, and this is my favorite. 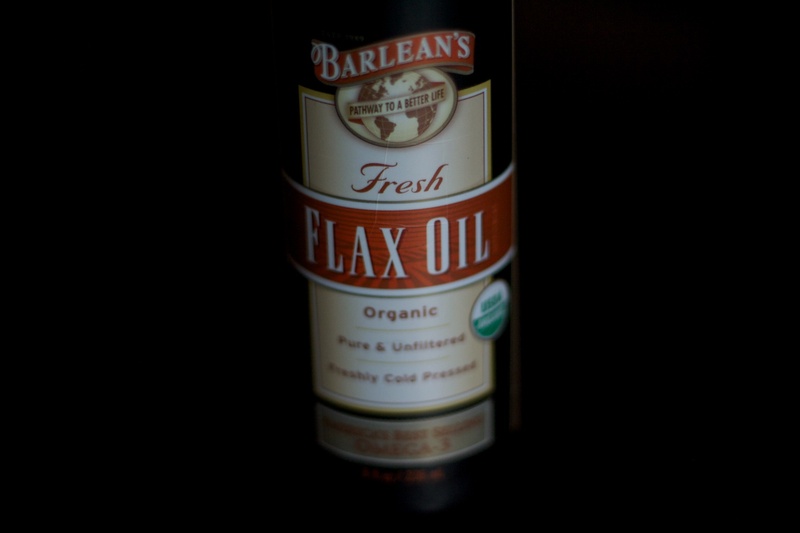 My favorite flaxseed oil and source of Omega 3, based on price and taste. I love to eat it in my soy yogurt. 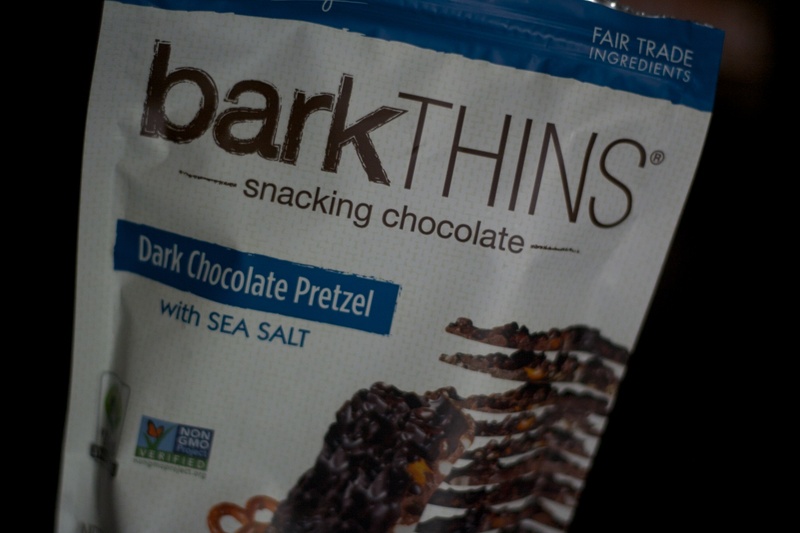 Although I’m not a huge fan of sweets, I can’t resist these dark chocolate-covered pretzels with sea salt. 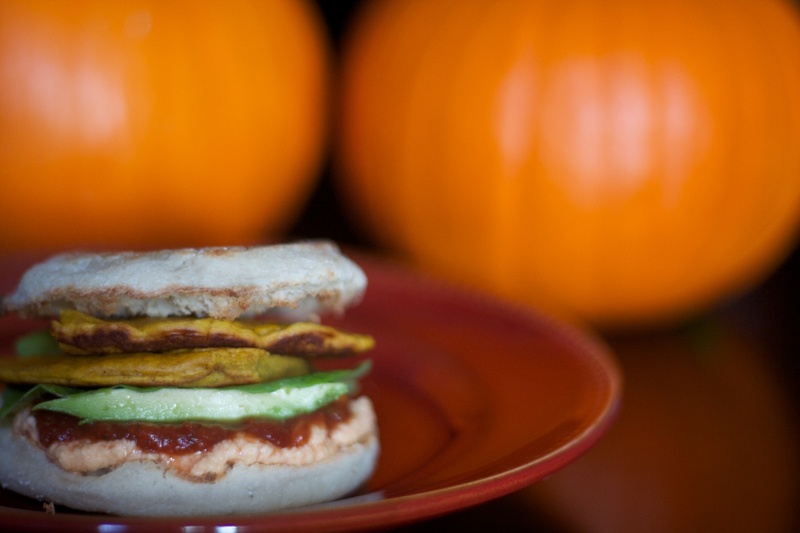 This original recipe from Vegetarian Times has become a Fall favorite. I like this cassoulet so much that I convinced my family to have it as the main course in our Thanksgiving meal one year. And the ingredients are EL CHEAPO. I got everything I needed, sans herbs and oil, for less than 10 bucks and the leftovers lasted many moons. I used to make this on the stove, but I recently bought a slow cooker and enjoyed the benefits of not having to slave over a hot pot for hours. In fact, I ran errands all day long and came home to this perfect, finished stew. 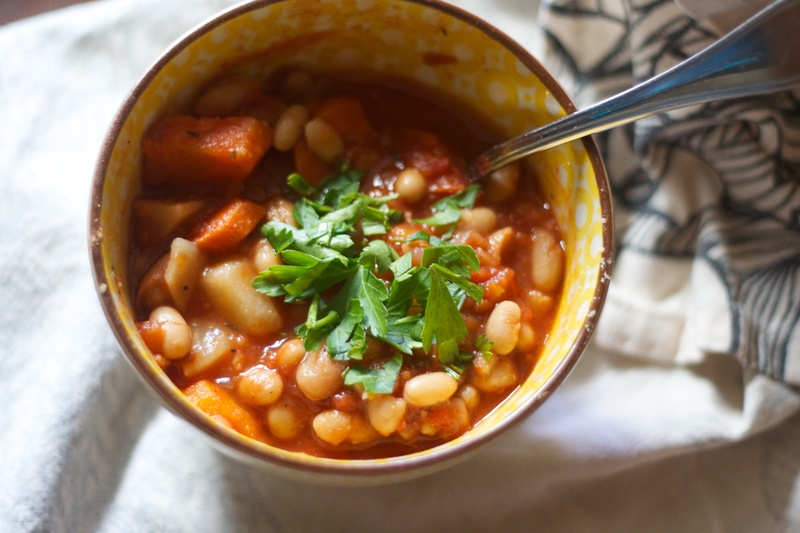 Whether you make it on the stove or in the crockpot, this is a very delicious, hearty dish that will comfort and warm you on chilly October nights. On a personal note, there are a few meals that I gravitate towards for those rare occasions when I have dinner ready with candles and a fancy setting for my sweetie when he comes home. This weekend I made this dish on my day off for that purpose. It’s that good. Add carrots, turnip, parsnip, beans and tomatoes. Stir in broth, bay leaves, thyme, salt and pepper. Add a little lemon juice, if you prefer a little zing in your cassoulet. Reduce heat to low. Cover, and cook until all vegetables are tender, 6 to 8 hours. Remove and discard bay leaves. Garnish with minced parsley. Add more lemon, if you like it that way. 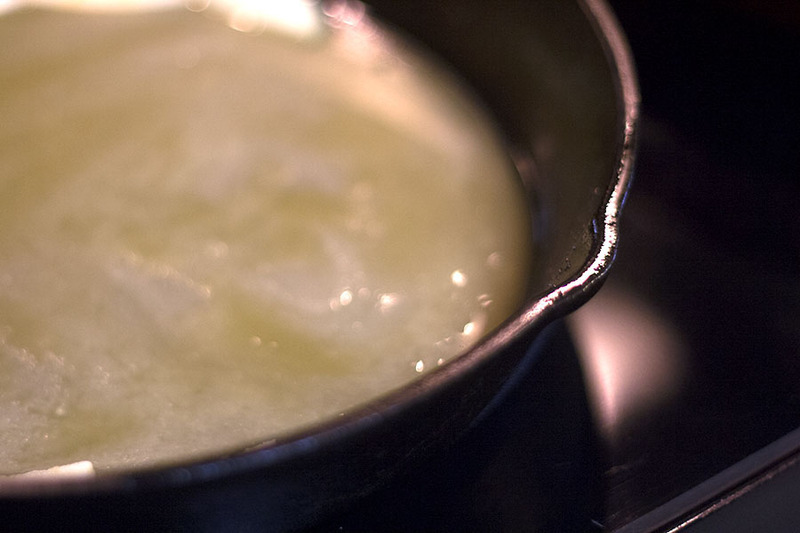 STOVETOP METHOD: Heat oil in 5- to 6-quart Dutch oven or other large pot over medium heat. Add shallots, garlic and carrots. Cover, and cook 5 minutes to soften. Reduce heat to low. Add remaining ingredients and cook, stirring occasionally, until vegetables are fully cooked, 1 to 1 1/2 hours. 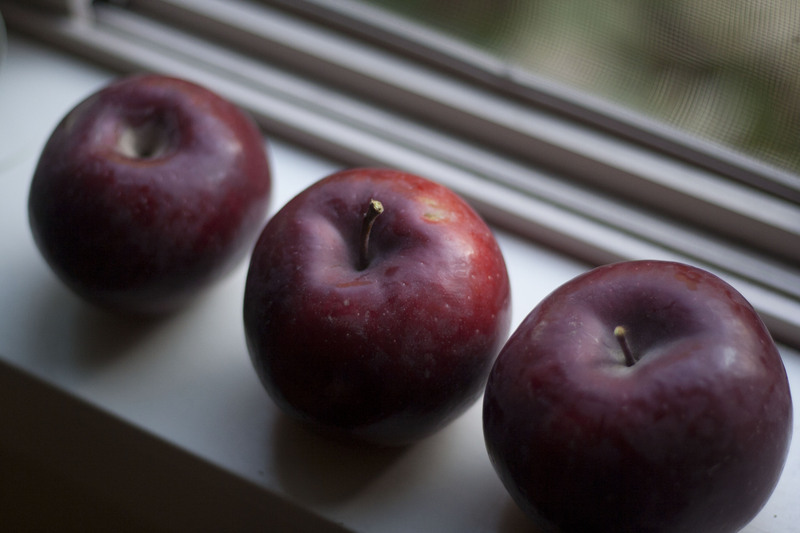 Picked these Empire apples myself in Hood River. Melted earth balance, evenly distributed. First layer-pack it tight. Second layer- just pile it on. 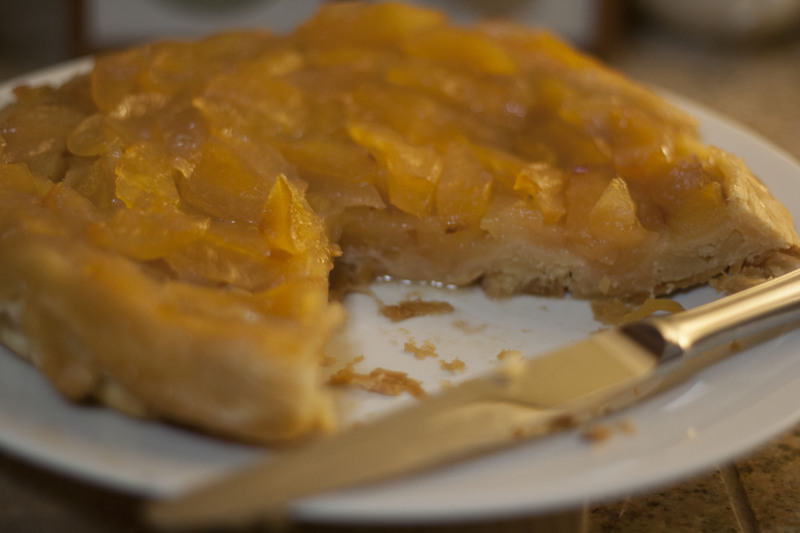 This is from the original French Tarte Tatin recipe, only with vegan butter. Don’t be daunted. This is just an apple pie without seasonings or a top crust, and the only scary part is flipping it over. But take my word for it, it is not that scary. You peel and cut some apples, melt the soy butter, dissolve the sugar, pack the apple slices in, add another layer of apples, then cover the skillet with your dough, bake it in the oven and flip. Easy. It’s so delicious and simple. 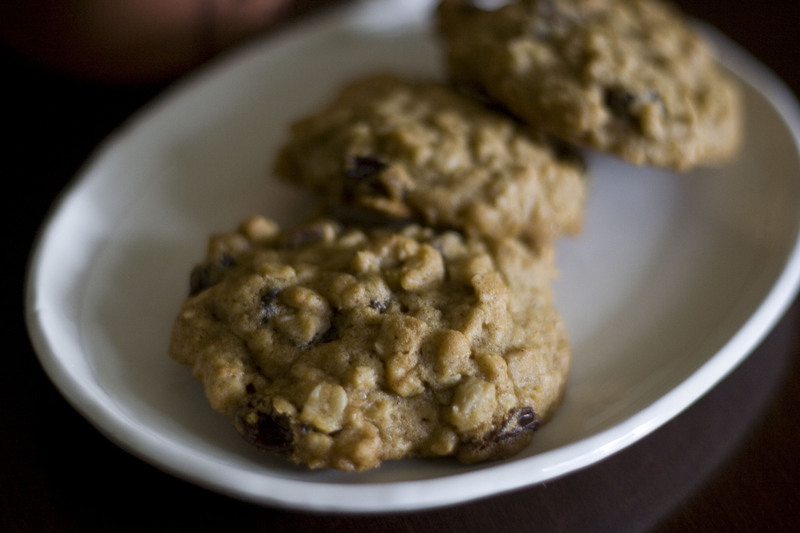 You might think that just apples, butter and sugar would be bland, but its rich and delicious. IMPORTANT: You need a small cast iron pan for this. It’s possible that another type of oven proof skillet would work, but I’ve never tried that myself. If you like, you can add a few squeezes of lemon juice at the end before putting the dough on top. 2. Thaw your dough, then roll it out and refrigerate it. 3. Put the skillet over medium heat and add the butter. When it melts, sprinkle the sugar over the butter until it dissolves. Remove from heat. 4. 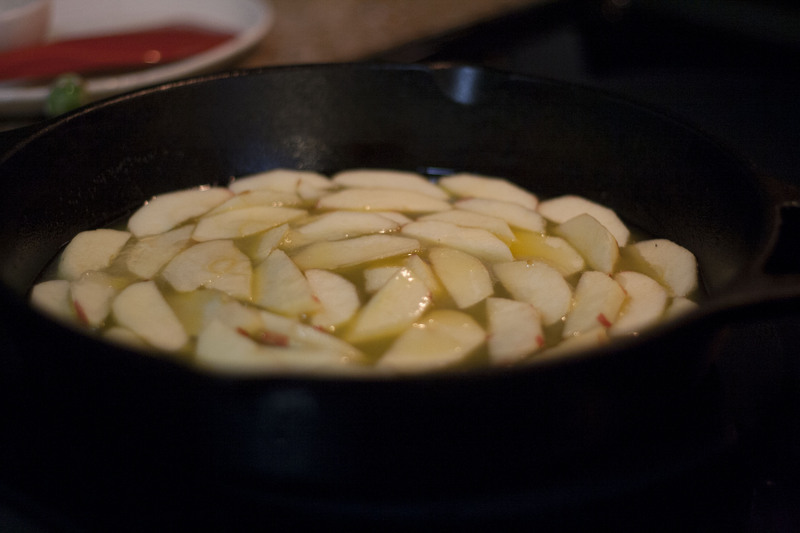 Fit a layer of apples into the skillet, putting the apples into the pan in tight circles. What’s important here is to pack in the apples — because they will shrink as they cook, you want to make sure they are snug in the pan. 5. When you’ve got a tight single layer, cut the remaining apple quarters in half and strew them over the first layer. This layer can be somewhat mounded, which will give the tart some height. 6. Put the pan over medium heat and cook — staying close by — until the sugar turns a deep caramel color. 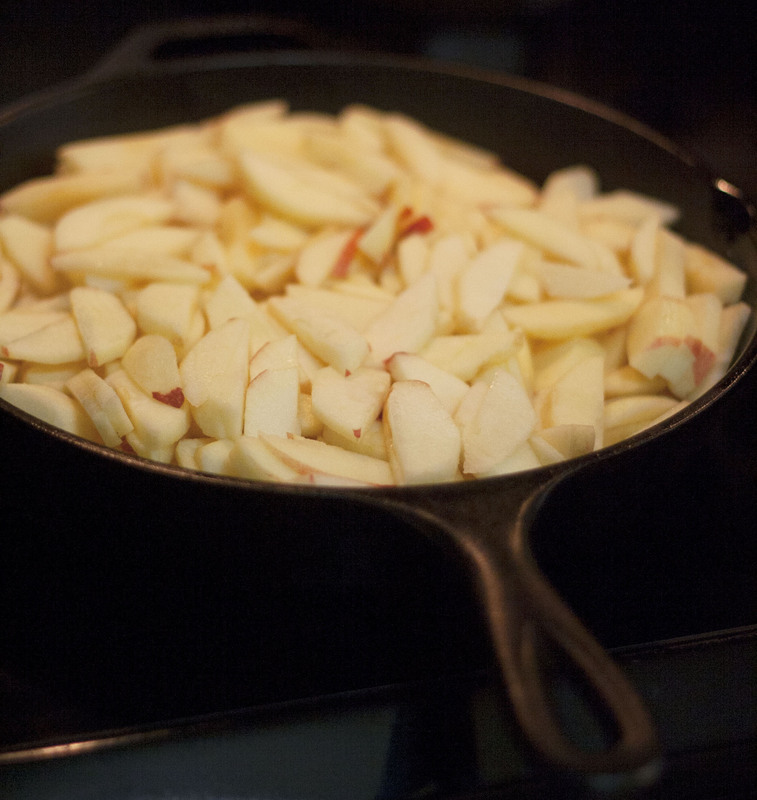 You’ll see it bubbling up the sides of the pan, but if you need a clearer view, you can gently push an apple aside. To get the color you want without burning the sugar, you may have to lower the heat after a while. Count on 15 minutes, more or less, to get the color. Transfer the skillet to the baking sheet. 7. Remove pie crusts or pastry from the fridge and place it over the top of the pan, covering the fruit, loosely tucking in any overhang. If using two pie crusts, just put one on top of the other. 8. Bake for 30 to 40 minutes, or until the pastry is baked through and, if you used puff pastry, puffed. 9. Now it’s time to flip it over! Cover the skillet with the large, rimmed serving plate (or pie plate) and, acting quickly and confidently in one smooth flip motion, flip the tart out onto the platter and remove the pan. If any of the apples have stuck to the pan — it happens to the best of us — gently lift them off the pan with an icing spatula and press them gently back onto the tart. 10. Let cool for at least 10 minutes before serving. The caramelized sugar is hot enough to be dangerous. 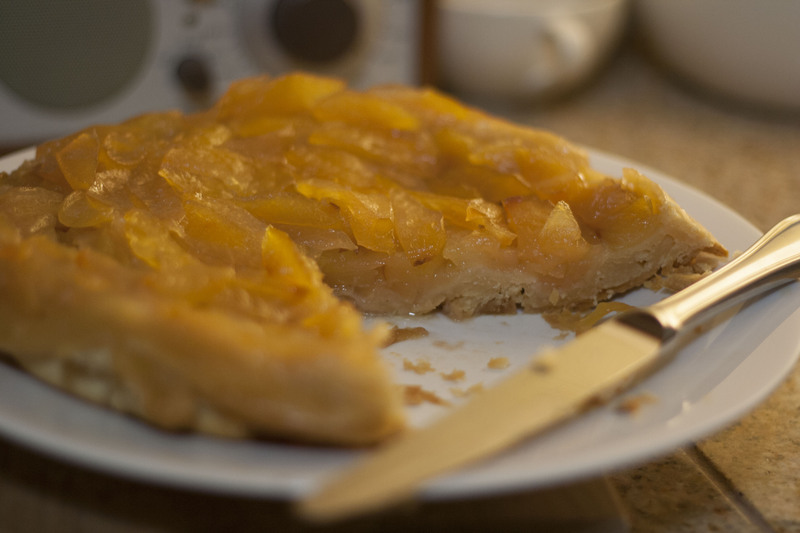 Let the tart sit for at least 10 minutes before serving, preferably on a windowsill with a chilly breeze wafting in.